This Nov. 21, 2011 file photo shows Rep. Scott DesJarlais, R-Tenn., speaks in Spring Hill, Tenn. DesJarlais, a freshman congressman running for re-election on a pro-life platform urged his pregnant mistress to get an abortion a decade ago, according to a transcript of the recorded conversation. The second woman described DesJarlais as "the nicest guy" and said he cooked dinner for her at their first get-together in 2000. But she also said they smoked marijuana during their relationship and remembered DesJarlais prescribing her pain medication on dates at his home. The woman said the affair lasted six months and included mutual illicit drug use. "Scott was just a regular guy," she said. "He smoked. I mean, he smoked pot. He [did] all that stuff." The woman's remarks about marijuana use could not be independently verified. DesJarlais is a Republican seeking re-election in the 4th District. In a prepared statement Saturday, his campaign did not dispute any specific allegations by the woman, instead condemning "personal smear campaigns that hurt families" and "have no place in politics." "This is not a credible story, and it seems that the Chattanooga Times Free Press has no interest in informing their readers about real issues facing Tennesseans but would rather focus solely on a 14-year-old divorce," campaign manager Brandon Lewis said. The newspaper's exclusive adds a second voice to a storyline that has complicated DesJarlais' bid for re-election against Democrat Eric Stewart. The ex-girlfriend's recollections come nine days before the general election and three weeks after The Huffington Post reported that the anti-abortion congressman and Jasper physician had an affair with a patient and pressured her to get an abortion. That bombshell put what seemed like a sure Republican seat into contention. A liberal "super PAC" poured $100,000 into an attack ad against DesJarlais, and the Democratic Congressional Campaign Committee vowed to help Stewart in what quickly became one of 55 "red to blue" districts Democrats think they can win. On Saturday, Stewart campaign manager Kevin Teets said the woman's account would continue to bolster his boss, who for the first time eclipsed DesJarlais in the most recent fundraising period. 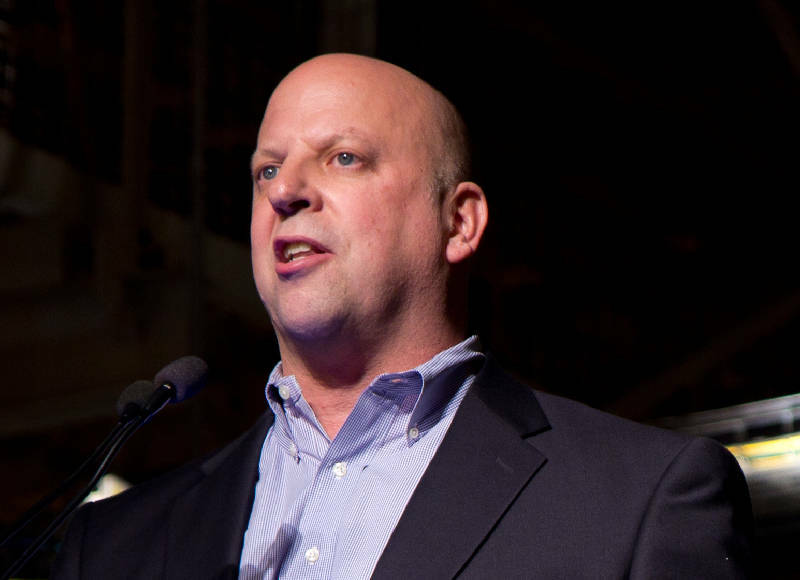 "It's clear from this further revelation that Scott DesJarlais has many issues. We hope he's able to get the help he so clearly needs," Teets said. "However, the people of the 4th District deserve a congressman like Eric, ready to roll up his sleeves and get to work tackling the many issues facing our country." Now in her 40s, the woman said she met DesJarlais as a patient in the mid-1990s and began dating him about five years later in the midst of his divorce. She said DesJarlais' early attempts at romance were "bizarre." She recalled feeling strange about a general practitioner who encouraged her to call him at home. Eventually he phoned her and invited her over. "He was the nicest guy -- made dinner, supernice, tried to razzle-dazzle you with his conversation," she said. "I don't know exactly how it started, but I mean, when it did, he just kept on and kept on." Some dates occurred at the physician's home, and other times they went out, the woman said. She remembered going by DesJarlais' medical office to talk but recalled no romantic encounters there. The woman said she kept DesJarlais as her doctor for some time after the affair. But after he kept trying to rekindle their relationship in settings outside his office, she said she eventually sought a different doctor. Sexual contact that occurs within the patient-physician relationship "constitutes sexual misconduct," according to the American Medical Association's code of ethics. At least five Tennessee physicians have been disciplined since 2005 for having consensual sexual relationships with patients, state records show. Citizens for Responsibility and Ethics in Washington, a watchdog group, filed an ethics complaint against DesJarlais after the abortion story emerged, but no action has been taken by the state. In court filings, DesJarlais acknowledged having four extramarital affairs. He has acknowledged the accuracy of a transcript of a recorded conversation he had with an unnamed patient in which he pressed her to get an abortion. He said he knew the woman wasn't pregnant and used "strong language" to get her to admit it.